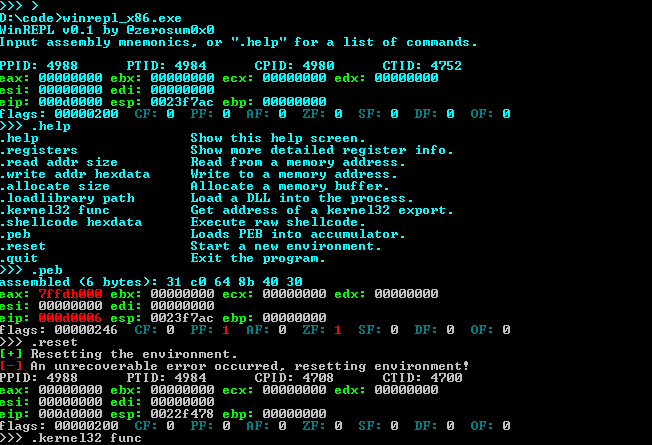 Browse: Home / WinREPL – x86 and x64 assembly “read-eval-print loop” shell for Windows. 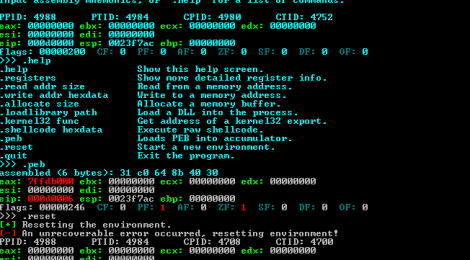 zerosum0x0/WinREPL is similar to yrp604/rappel (Linux) and Tyilo/asm_repl (Mac), but with a slightly different methodology that should allow for tricks such as self-modifying shellcode crypting/encoding. 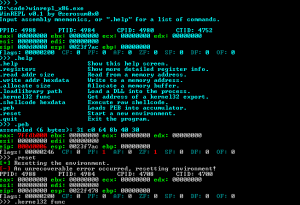 There is also enferex/asrepl for a Unicorn (emulated) version, but WinREPL is completely native inside a Windows process context. WinREPL is a debugger (parent process) that hollows out a copy of itself (child process). ← Shodanwave – Netwave IP Camera.